Car accidents are the leading causes of injuries in our country. More than 37,000 people die in road crashes each year and more than three million people are injured. Even with these different factors, there are common injuries that can be sustained from a car accident. These injuries can range from head injuries to facial injuries. These types of injuries can cause long lasting pain and discomfort, especially if symptoms do not appear immediately. 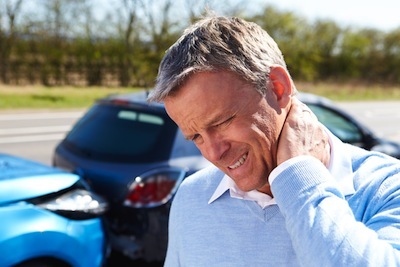 Neck injuries, such as whiplash, are the most common car accident injury, especially in rear-end collisions. Whiplash is caused by the sudden movement of the head and the neck. Vocal cord paralysis is also a common occurrence after a car accident, but is usually just temporary. Other, more serious, neck injuries are cervical dislocation, cervical radiculopathy, which is a disease of the root of a nerve from a pinched nerve, and disc injury. Facial injuries are usually common, but not as serious as others. Facial injuries can be caused by the steering wheel, dashboard, airbag, windshield, side window, car seats and shattered glass. These can range from scrapes to bruises to dental injuries and temporomandibular disorders of the jaw, more well known as TMJ. If you have been in a car accident and are suffering any short-term or long-lasting injuries, you deserve compensation for your pain. De Lachica Law Firm is committed to helping you with your personal injury case. Contact Houston car accident injury lawyer de Lachica Law Firm today. Texting and Driving a Very Real Problem in the U.S.